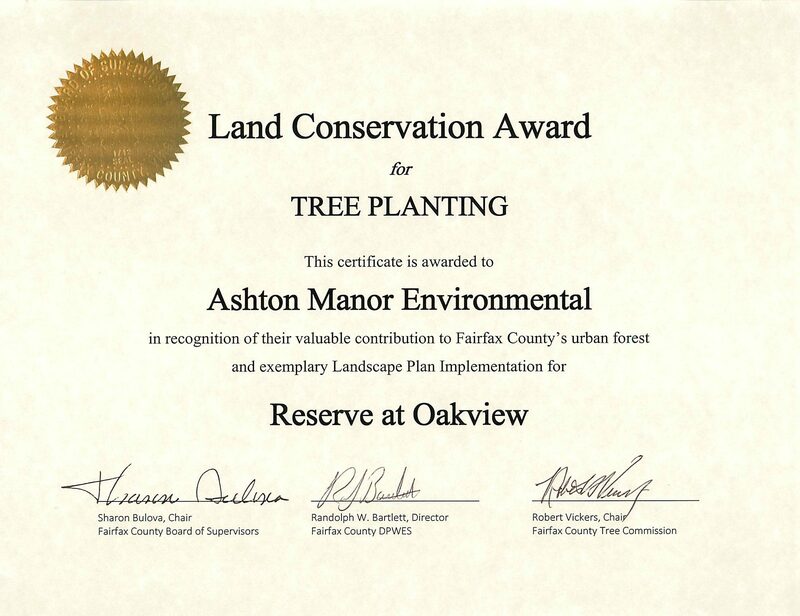 Ashton Manor Environmental (AME) is excited to announce two awards recent Land Conservation awards from Fairfax County; one for Tree Preservation and one for Tree Planting. 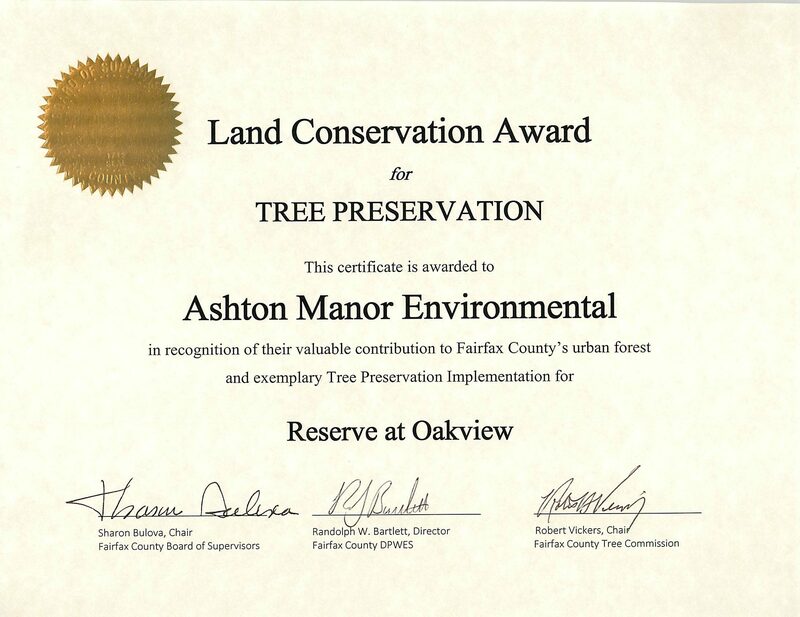 These awards recognized AME for our excellence as the Project Arborist, and Tree Planting/Landscaping Contractor on the Reserve at Oakview project. The scope of work involved coordinating and implementing tree preservation measures before construction activities commence, monitoring the trees during construction, through the installation of a complex landscape plan. The AME Way: Fundamental #18: WALK IN YOUR CUSTOMERS’ SHOES. The AME Way: Fundamental #5: BE IN THE GRAY ZONE.